1) Whisk eggs in a large mixing bowl till frothy, add in sugar in 3 - 4 batches and beat at high speed until the batter becomes very pale, thick and creamy (ribbon stage). Meanwhile, heat up wok, pot or steamer. 2) Fold in sifted flour and salt , mix well. Scoop 2-3 tablespoons of batter and add in red colouring, set aside. 3) Add milk and vanilla extract to the white batter, mix well. 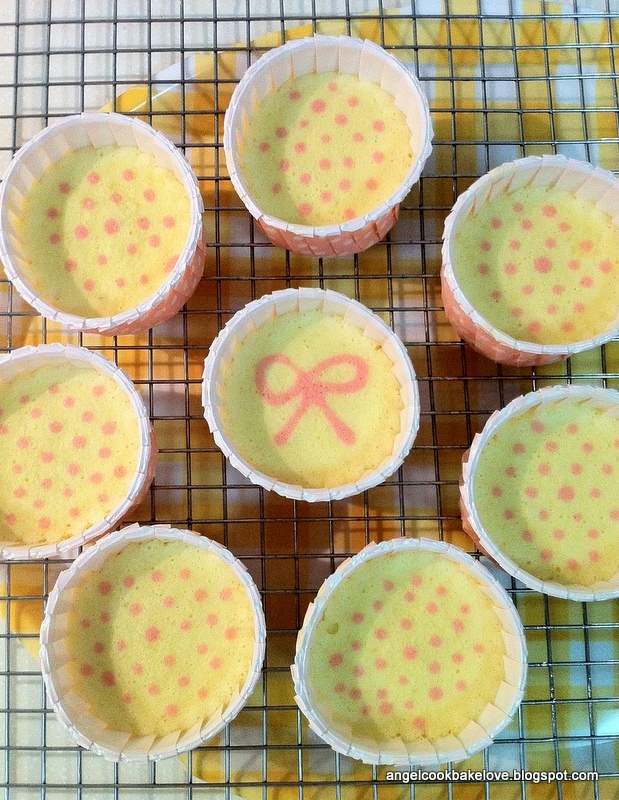 4) Scoop white batter into paper cups till 60% full and pipe pink batter with a small round nozzle on top. Steam for about 15-20 mins over high heat till a skewer inserted and comes out clean. So sweet, happy valentine to you! 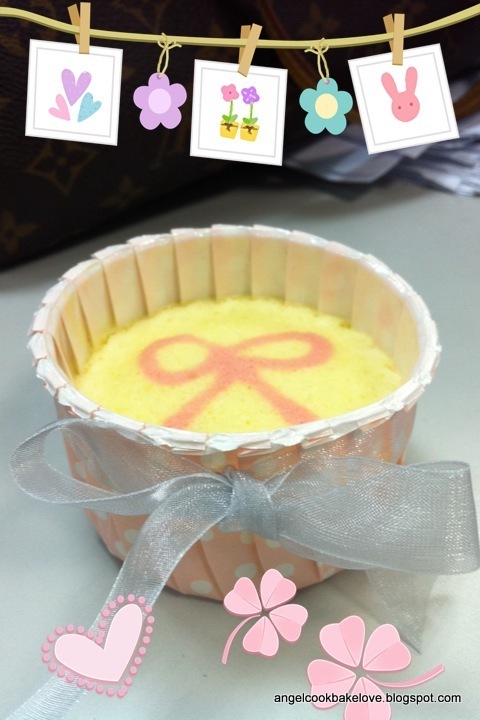 this is perhaps one of the nicest steamed cakes i've ever seen! i would have loved to eat it! What kind of texture yield from your recipe? Hmm... 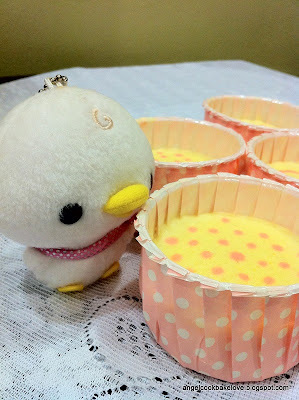 I tried another recipe, it yield me chewy huat kueh, headache..... Yours is nice! If your steamed cake is chewy and kuih-like probably the batter didn''t rise as it suppose to. This steamed cake is not very fluffy type (if too fluffy the drawing on top will not be in shape) but it's soft and the texture if cake like. Btw, please don't forget to leave your name when you comment next time. Thanks. 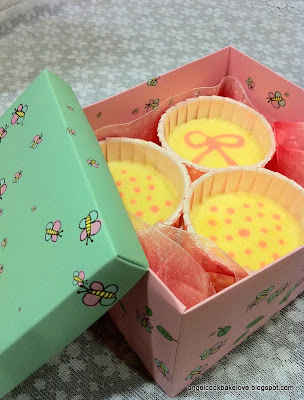 Hi... Like to know what is the difference with steaming cake and baking? Can we do steaming to replace baking instead? steamed cake won't have nicely brown crust like the baked one. 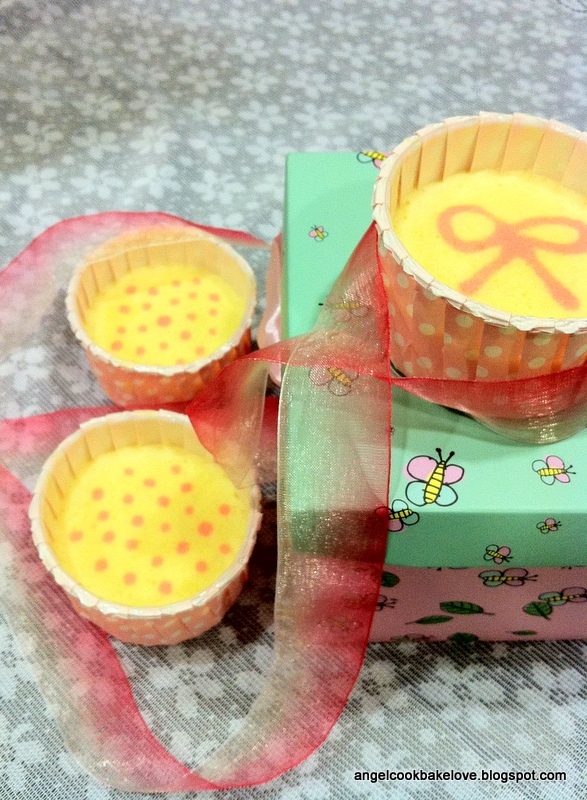 Whether can replace baking method with steaming, I think it depends on recipe. Sorry I don't have a straight answer.